Listeners contacted Farming Today to say the rules around slaughtering cattle older than 30 months are threatening native breeds. We investigate. According to rules introduced to tackle BSE, all cattle older than 30 months when slaughtered must have their spinal column removed along with some other body parts most likely to transmit the disease to humans. This means an added cost to the farmer, which in turn puts people off keeping older animals. Two Farming Today listeners got in touch saying these rules are threatening native breeds, which often take longer to mature. We visit their farm and investigate the issue. The government says that the rules are is a key public health measure to keep potentially infected material out of the human food chain, and removing them would also impact on trade. 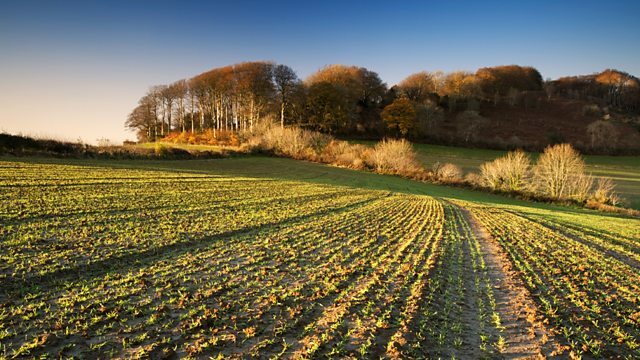 10% of the UK's greenhouse gas emissions come from farming, and the Committee on Climate Change, a body which advises the government, has said that our approach to land use has to change if we're to meet our emission targets. We take a closer look at the figures and find out what farmers can do to reduce their emission.